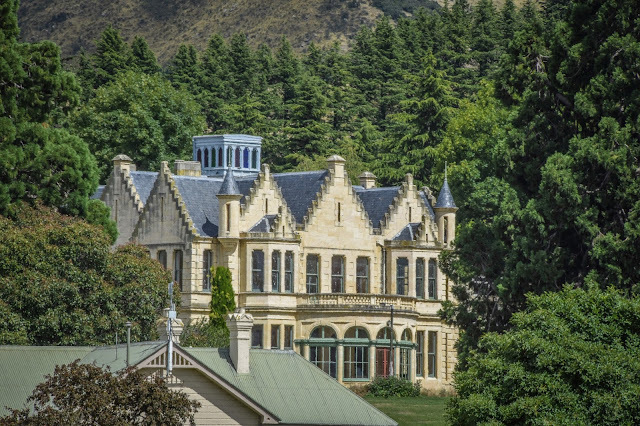 A castle-style mansion built in 1876 isn't something you'd expect to see down a quiet, country road in Otekaieke in the Waitaki Valley. 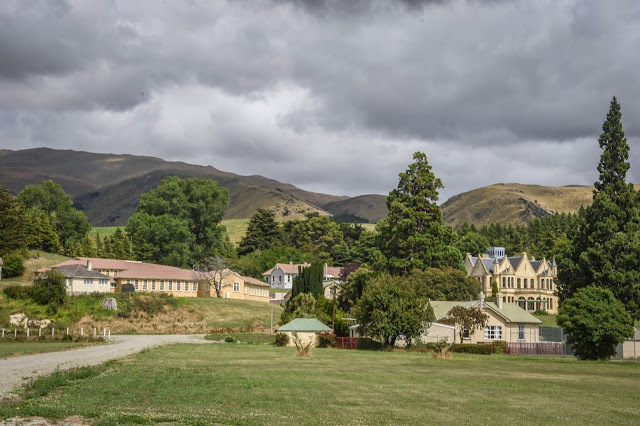 It's the biggest castle in New Zealand, with an interesting history. Dating back to 1857 an Otago run holder named William Dansey bought a sheep and cattle station that would later become 'Campbell Park Estate'. 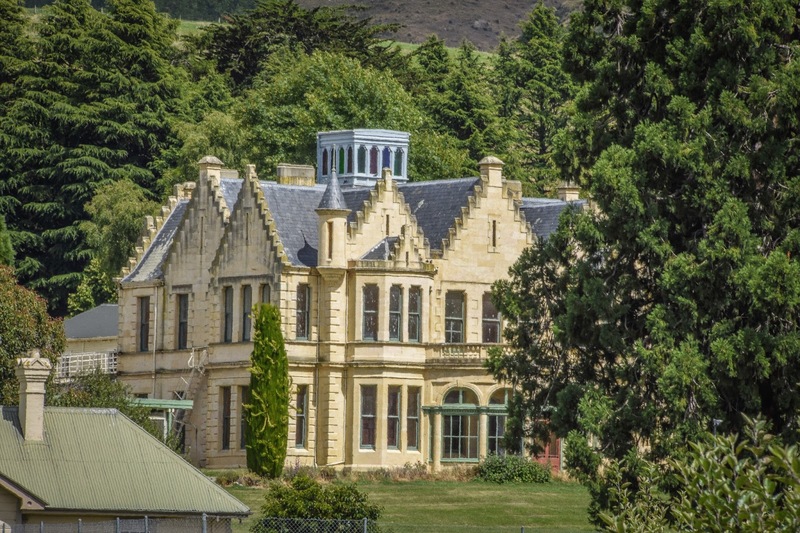 In 1861 Dansey built the first house, 'Dansey's Hut' and then later that year sold the property to Robert Campbell the son of a wealthy Scottish family. 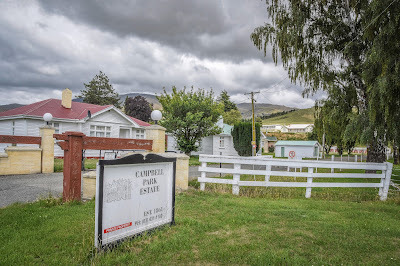 In 1868 Campbell married and although he lived in a two story-house, he decided it wasn't big enough so had a workforce of Scottish craftsmen shipped from Scotland, plus materials from Italy and Scotland were also shipped over. 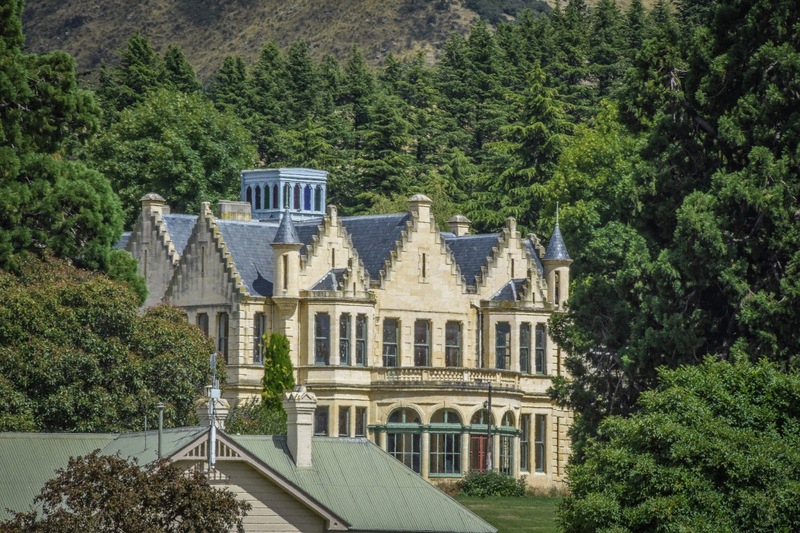 Campbell sent his wife, Emma Hawdon, back to England temporarily while the 35-room limestone castle was built. 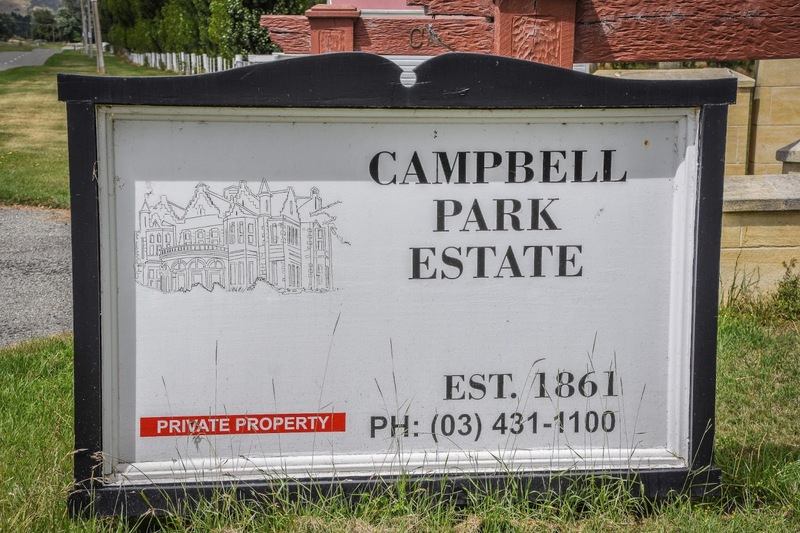 Robert Campbell died in 1889 aged 47 years, and a year later his wife Emma died - they had no children to pass the property on to, so the estate was sold to the New Zealand Education Board and became 'Campbell Park School for boys'. Then in 1987 the boys school closed and the estate was passed into private ownership. Campell Park Estate has hosted movie production crews, multiple sporting events, musical, arts and cultural festivals. 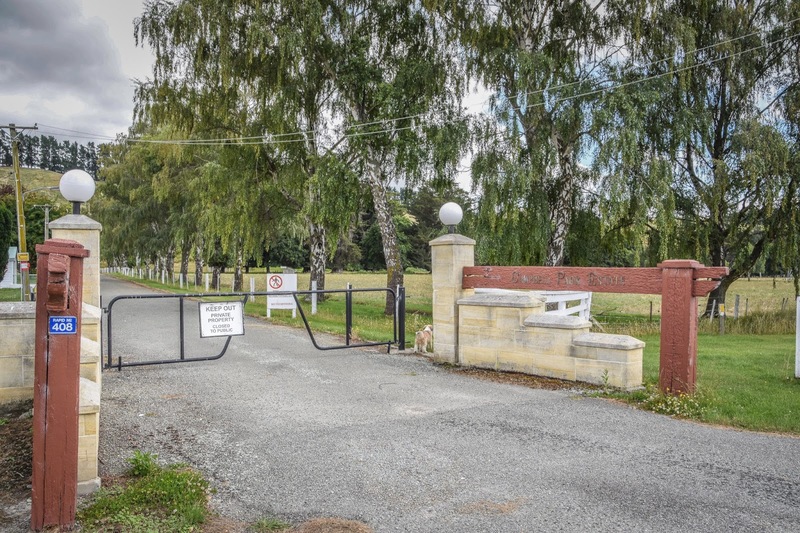 In 2015 the property was up for sale again and was purchased by a Chinese-owned company. The Chinese plan to create an educational facility for Chinese students as well as tourist accomodation. 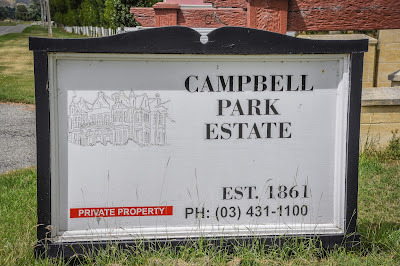 Campbell Park Estate really does look impressive and while I was researching about it, I discovered it includes; 32 homes , an educational campus with dormitories, kitchen facilities, an administration block, 7 classrooms, a library, a theatre, a gym, swimming pool, tennis courts, workshops and a number of historic buildings. There are also old stables, a large restored villa, two smaller Oamaru stone buildings, an orchard and gardens. 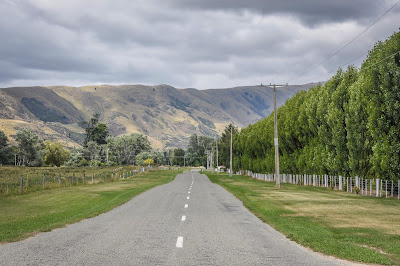 To get there we drove along 'Special School Road' which is off the Kurow-Duntroon Road (State Highway 83). Unfortunately the estate is closed to the public so I had to make do with taking photos from the side of the road.